What is a solid ink/wax printer? Currently the only group of printers that adopt this style of machine is the Xerox ColorQube range. Sold in/wax printers are exactly as you would imagine them to be. 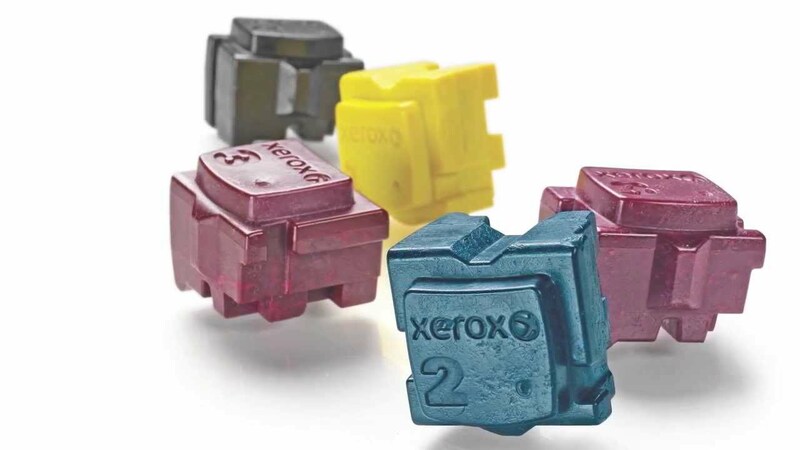 Unlike fluid ink cartridges, wax printers run of solid ink sticks. In order to print, the ink melts and transfers onto the paper. Xerox have copyrighted this method of print.